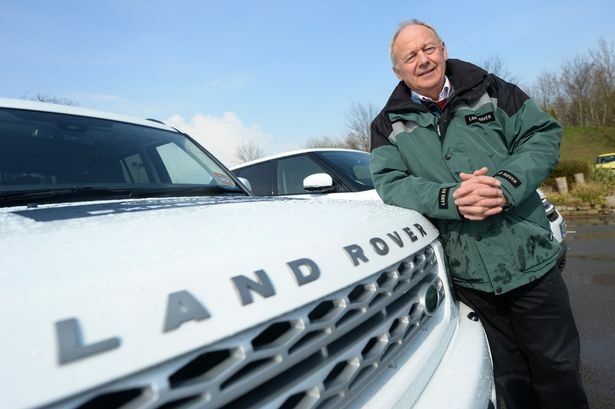 After more than half a century working at Britain’s best-known 4x4 manufacturer, the man affectionately known as Mr Land Rover has finally called it a day. Anything Roger Crathorne doesn’t know about Land Rover probably isn’t worth knowing. Mr Crathorne’s illustrious career saw him start out as an engineering apprentice in 1963 and he was later part of the team that worked on the original Range Rover project. The 66-year-old was later tasked with presenting Land Rover’s products around the globe and along the way taught members of the royal family how to drive off-road. He has also undertaken a sales development role which saw him travelling the world as a Land Rover ambassador and was responsible for creating the Land Rover Experience facility at the Lode Lane plant. Latterly a member of the global PR team most recently he has been Land Rover’s heritage, enthusiast and technical PR manager. Born in 1947 at Solihull Hospital, just a stone’s throw from the Land Rover plant, somewhat appropriately Born in Lode Lane became the title of his memoir, published in 2008. Speaking about some of the highlights, he said: “I was fortunate enough to spend some time with some of the leading royals in a car. Another memorable moment saw an RAF fly-past with a difference. In 1988 Roger and a motoring journalist were driving a specially-created amphibious Land Rover Defender he had developed in Loch Ness as part of a challenge to travel the length of the Caledonian Canal. “One of the most interesting things was to build two amphibious vehicles as we were sponsoring Cowes Week,” he said. “Someone said how do you fancy doing something really special, so we did the full length of the Caledonian Canal – it took us three days. “We were travelling the full length of Loch Ness when we saw three RAF helicopters going in formation. “A Chinook diverted and flew over the top of us and a few guys in it started taking pictures. Mr Crathorne admitted he has always loved his job, even though he has seen several changes of Land Rover ownership. “I have never got up for work in the morning and thought ‘oh no I’ve got to go to work’,” he said. He feels the firm has a great future to look forward to under current owners Tata. From an engineering perspective Mr Crathorne said working on the original Range Rover was a high point, though he owed his move out of engineering to Land Rover’s head of marketing John Anderson when it became independent in 1978. Although he is calling it a day, Mr Crathorne is far from severing ties with Land Rover altogether. He still drives an original Series One Land Rover, the car that set the ball rolling back in 1948, and as he retired was planning to pick up two Land Rover ‘barn finds’ he is going to start rebuilding. He said his decision to call time on his career was prompted by his wife retiring and that he now hoped to fit in more mountain biking and golf. “I don’t think it will be the last the company see of me walking through the gates,” said. “It is always in your blood, though after 50 years service it will feel strange. “Several times I have thought about it in the past but people have talked me into staying. One thing that will always stay with him is the look on a customer’s face when they get to take a Land Rover off-road for the first time. “To be with a customer seeing the satisfaction they get seeing what their purchase is capable of is quite rewarding,” he said.